On the day he retires, Inspector Ashwin Chopra inherits two unexpected mysteries. 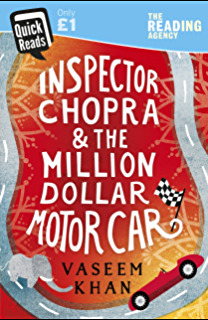 Ashwin Chopra is a little unusual to the normal sort of detectives that I read about. Set in Mumbai there were lots of cultural differences and he has just retired from the police force, rather than just setting out. But the biggest difference was where as some people have a dog as a pet he has a baby elephant. An unusual gift from an uncle and one that at first he didn’t really know what to do with. One thing for sure though was that he is adorable, the elephant that is, but scared and pinning for his former life the little fellow is really struggling. 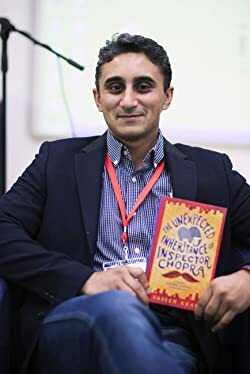 Now Chopra has been a very dedicated man in his role of Inspector and he just can’t bring himself to either physically and mentally walk away from his last case on his last day, as the body of a young boy is found dead. Although put down to a tragic accident the former Inspector just feels that there is far more to it than that. So begins the most unusual partnership between Chopra and Ganesha the baby elephant. I can’t even write this review without having a constant smile of my face, don’t get me wrong the case Chopra is working on is very real and very dangerous as he doesn’t have the back up of the police any more but Ganesha definitely pulls his weight and that is quite a weight to pull! The scenes of the little guy at the shopping centre and Chopra’s home are very funny, scary and at times touching, especially with Chopra’s wife Poppy. Married for many years the couple have remained childless which has put Poppy under the constant worry of not giving her husband a son or even a daughter. The writing is light and very entertaining. Yes, people do die in this story but those scenes are not graphically described to make it uneasy reading, just little quickening of the pulse rate rather than lock all the doors stuff. Ganesha soon becomes a very loyal asset to Chopra, where I was like wow! Did that little elephant really do that! But both man and beast had something missing in their lives and that was each other. This is going to be one cracking little series. Vaseem Khan first saw an elephant lumbering down the middle of the road in 1997 when he arrived in the city of Mumbai, India to work as a management consultant. This surreal sight inspired his Baby Ganesh Agency series of ‘gritty cosy crime’ novels. His aim with the series is to take readers on a journey to the heart of modern India. 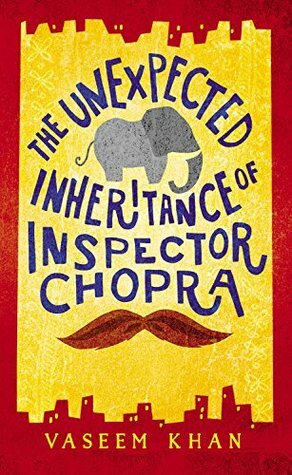 His first book THE UNEXPECTED INHERITANCE OF INSPECTOR CHOPRA was a Times Bestseller and an Amazon Best Debut. 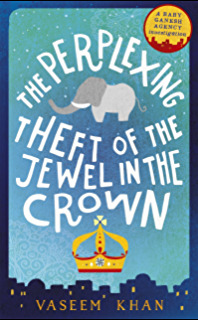 The second in the series THE PERPLEXING THEFT OF THE JEWEL IN THE CROWN won the 2017 Shamus Award for Best Original Private Investigator Paperback. 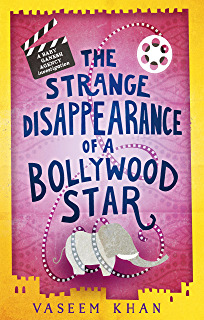 The third was released in May 2017 – THE STRANGE DISAPPEARANCE OF A BOLLYWOOD STAR. Vaseem was born in London in 1973, studied finance at the London School of Economics, before spending a decade on the subcontinent. He returned to the UK in 2006 and has since worked at University College London for the Department of Security and Crime Science. Elephants are third on his list of passions, first and second being great literature and cricket, not always in that order. For more information about the world of the series please visit vaseemkhan.com where you can also keep abreast of Vaseem’s latest goings-on, competitions, events, and extracts from upcoming books via The Reading Elephant Book Club. I haven’t read any of these but they always catch my eye. Your review makes me think I’d certainly enjoy them. Great review. 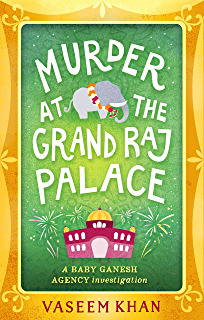 I love the Inspector Chopra novels, I’ve just bought a copy of Murder at the Grand Raj Palace. Great for anyone who is a fan of the No. 1 Ladies Detective Agency books.